The technical competition among companies making monitors has been very small. Other than looks, the screen size, resolution, and ports that customers want are offered by a number of different companies. A new feature has to be made to differentiate itself and stand out from the crowded room of monitors. 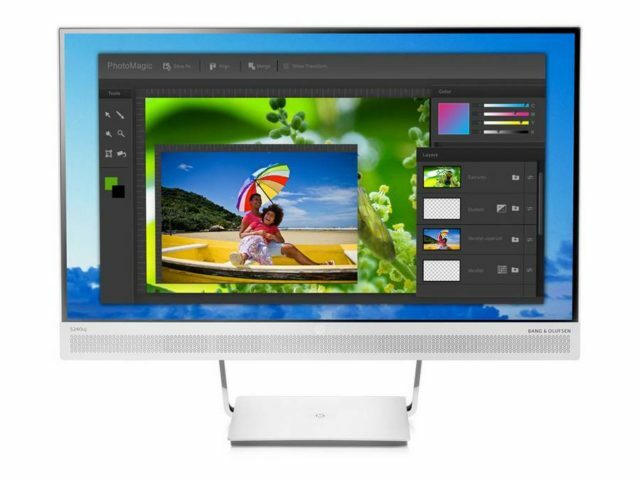 The HP EliteDisplay S240UJ offers something different for your desktop experience. The HP EliteDisplay S240UJ offers a wireless charging base for Qi-enabled devices. They aren’t the first to offer this kind of technology since the other competitors such as Asus, Lenovo, and Dell offer the same thing since before. Although subjectively speaking, the HP EliteDisplay S240UJ is much more attractive alternative compared to some of the other options. HP’s offering has a 23.8″ display with a 2560×1440 resolution and a 5ms response time. The aspect ratio is 16:9 with a 300cd/m2 of brightness and the common 178-degree viewing angle. The monitor should give enough oomph to play your games and watch high-definition movies. For the port specifications of the HP EliteDisplay S240UJ, we’ll start with the USB type C port which lets you connect your devices such as your laptop or smartphone to the monitor. It could be used as a secondary monitor or for transferring data. Along with this, a DispayPort 1.2, HDMI-MHL, and a regular USB port for playing videos and audio from. There’s no mention about its availability and pricing as of the moment. HP does boast about it along with their HP Elite Slice Desktop. Do you know a iPhone Cover witch support wireless charging with the HP S240uj?